Simply sign up and receive from DSW special email offers and promotions or become a DSW Rewards member and earn points with every purchase. To redeem in stores, print and present the coupon to the cashier at checkout, or show on mobile phone. You will need to show the bar code at the bottom of the page. Print coupon to get 2X points to earn a $10 certificate for your next shopping trip. Premier members get 3X points. DSW Members receive 2X points with this coupon on all their purchases when they shop thru March-31. Print out the whole page, get 25% off 2 pairs of shoes. The coupon states that it starts November-27 but it ends today November-30. Can also show coupon on mobile device. Print coupon and receive a $10 discount storewide, $20 off $99, or $40 off $199 or more at your local DSW store. Valid for DSW Rewards members only and its free to join. DSW Rewards Premier member exclusive. Print coupon for a free bristol tote with a $29 purchase. Print coupon for a free Uptown tote with a $39 purchase. 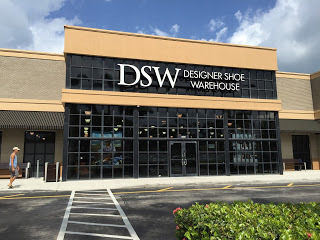 DSW stores is where you can find New Styles shoes at Great Prices. They have 1000s of Women's Shoes, Men's Shoes, and Sandals.